The Cisco 850 and Cisco 870 series routers support a secure, affordable, and easy-to-use wireless LAN solution that combines mobility and flexibility with the enterprise-class features required by networking professionals. With a management system based on Cisco IOS software, the Cisco routers act as access points, and are Wi-Fi certified, IEEE 802.11a/b/g-compliant wireless LAN transceivers. You can configure and monitor the routers using the command-line interface (CLI), the browser-based management system, or Simple Network Management Protocol (SNMP). This chapter describes how to configure the router using the CLI. Use the interface dot11radio global configuration CLI command to place the device into radio configuration mode. See the Cisco Access Router Wireless Configuration Guide for more detailed information about configuring these Cisco routers in a wireless LAN application. 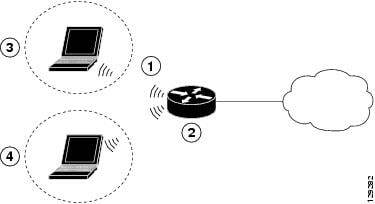 Figure 9-1 shows a wireless network deployment. In the configuration example that follows, a remote user is accessing the Cisco 850 or Cisco 870 series access router using a wireless connection. Each remote user has his own VLAN. A configuration example showing the results of these configuration tasks is provided in the "Configuration Example" section. Note	 The procedures in this chapter assume that you have already configured basic router features as well as PPPoE or PPPoA with NAT. If you have not performed these configurations tasks, see Chapter 1 "Basic Router Configuration," Chapter 3 "Configuring PPP over Ethernet with NAT," and Chapter 4 "Configuring PPP over ATM with NAT," as appropriate for your router. You may have also configured DHCP, VLANs, and secure tunnels. Enters interface configuration mode for the radio interface. Specifies the time interval, in seconds, between rotations of the broadcast encryption key used for clients. Note	 Client devices using static Wired Equivalent Privacy (WEP) cannot use the access point when you enable broadcast key rotation—only wireless client devices using 802.1x authentication (such as Light Extensible Authentication Protocol [LEAP], Extensible Authentication Protocol-Transport Layer Security [EAP-TLS], or Protected Extensible Authentication Protocol [PEAP]) can use the access point. Note	 This command is not supported on bridges. See the Cisco IOS Commands for Access Points and Bridges for more details. Specifies the encryption method, algorithm, and key used to access the wireless interface. The example uses the VLAN with optional encryption method of data ciphers. Creates a Service Set ID (SSID), the public name of a wireless network. Note	 All of the wireless devices on a WLAN must employ the same SSID to communicate with each other. Binds the SSID with a VLAN. Sets the permitted authentication methods for a user attempting access to the wireless LAN. More than one method can be specified, as shown in the example. Exits SSID configuration mode, and enters interface configuration mode for the radio interface. (Optional) Specifies the required and allowed rates, in Mbps, for traffic over the wireless connection. (Optional) Specifies the Request to Send (RTS) threshold or the number of times to send a request before determining the wireless LAN is unreachable. (Optional) Specifies the radio transmitter power level. See the Cisco Access Router Wireless Configuration Guide for available power level values. (Optional) Specifies the channel on which communication occurs. See the Cisco Access Router Wireless Configuration Guide for available channel numbers. (Optional) Specifies the role of this radio interface. You must specify at least one root interface. Exits interface configuration mode, and enters global configuration mode. Specifies the type of bridging. The example specifies integrated routing and bridging. We want to set up bridging on the VLANs, so the example enters the VLAN interface configuration mode. Assigns a bridge group to the interface. Sets other bridge parameters for the bridging interface. Enters configuration mode for the virtual bridge interface. Specifies the protocol for the bridge group. Specifies the address for the virtual bridge interface. Repeat Step 2 through Step 7 above for each VLAN that requires a wireless interface. Enters subinterface configuration mode for the root station interface. Provides a description of the subinterface for the administrative user. Specifies that IEEE 802.1Q (dot1q) encapsulation is used on the specified subinterface. Disables the Cisco Discovery Protocol (CDP) on the wireless interface. Assigns a bridge group to the subinterface. Note	 When the bridge-group command is enabled, the following commands are automatically enabled, and cannot be disabled. If you disable these commands you may experience an interruption in wireless device communication. Exits subinterface configuration mode, and enters global configuration mode. Repeat these steps to configure more subinterfaces, as needed. The following configuration example shows a portion of the configuration file for the wireless LAN scenario described in the preceding sections.